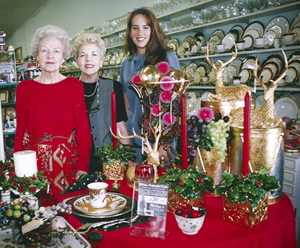 Millyn’s was established in 1969, the brain-child of the mother-daughter team of Mildred Gleason (Mil-) and Lynne Murphy (-lyn’s). Mildred was teaching senior English at Ola High School and Lynne was in her fourth year of teaching at Russellville High School when they decided to go back into retail (the Dardanelle Merchantile Company which also operated on Front Street from 1882 until 1962 was their family business for four generations). Millyn’s original building was destroyed on August 15, 2015, by a fire that started in a neighboring business. 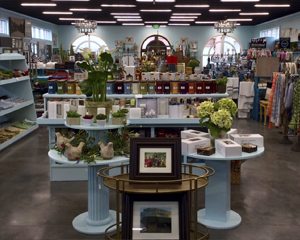 Millyn's operated from a rental space in Russellville until the new store building was completed at the end of March 2016. Marcy Lawrence, the Dardanelle High School Principal, and Arkansas Tech University professor, Dr. Diane Gleason, are Lynne’s sisters and both work at Millyn’s during the Christmas Holidays. Arkansas Tech graduate and Russellville native, Teresa Minor, joined Millyn’s in 1995 and is now overall store manager at Millyn’s.